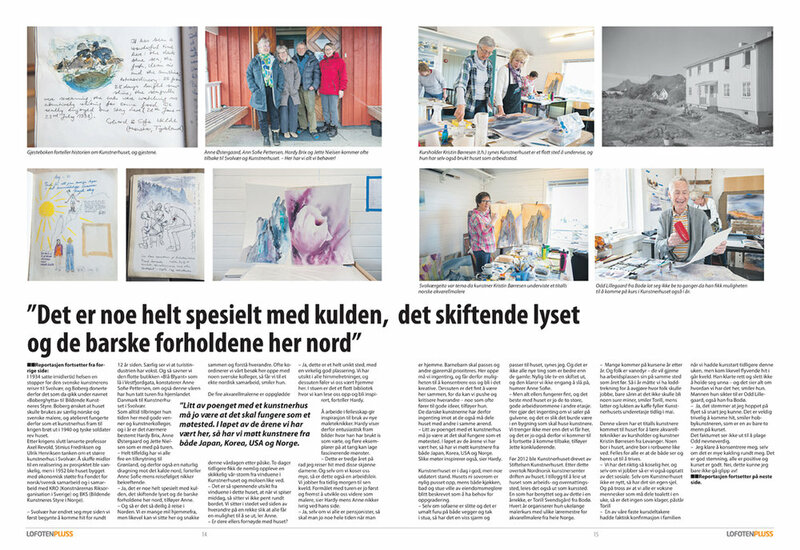 In August 2016 I was included in an article about the North Norwegian Art Center's artist residency I attended last March. The story appeared in a Lofoten magazine published by Vaganavisa called LofotenPluss. 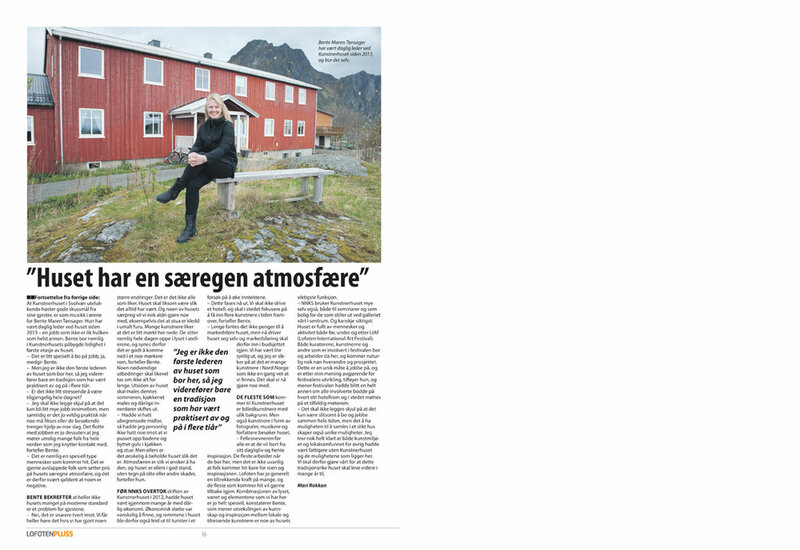 (If you read Norwegian, you can view the magazine here). Located on Svinøya island, the artist's house (kunstnerhuset) has a long history. Originally the home of artist Anna Boberg, at the end of her career she generously donated it to be used by Norwegian and Swedish painters. Unfortunately the original structure was torn down by the Germans in 1940, but twelve years later it was rebuilt in its present location and has been operating as a residency program ever since. It truly is a special place. Article and photos by Mari Rokkan. to receive news about exhibitions and other updates!